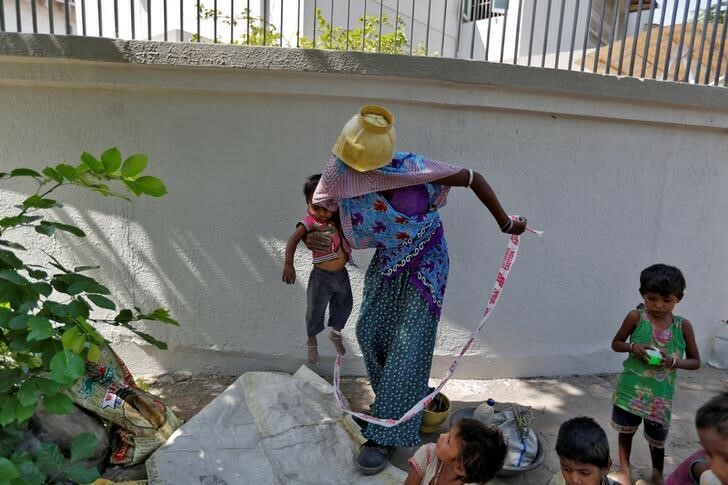 Ahmedabad, India (Reuters) — Fifteen month-old Shivani tugs at a plastic tape her mother has wrapped around her leg and tied to a rock at a building site in western India. 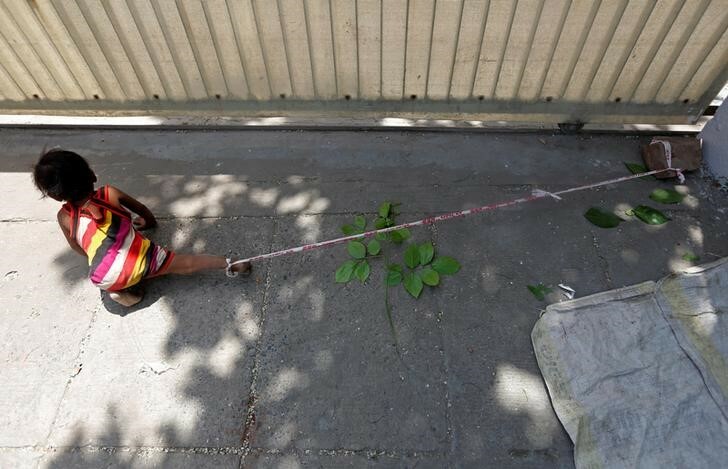 Sarta Kalara, her mother, says she has no option but to tether Shivani to the stone despite her crying, while she and her husband work for 250 rupees ($3.8) each a shift digging holes for electricity cables in the city of Ahmedabad. “I tie her so she doesn’t go on the road. My younger son is three and a half so he is not able to control her,” said the 23-year old, covering her face with her sari. 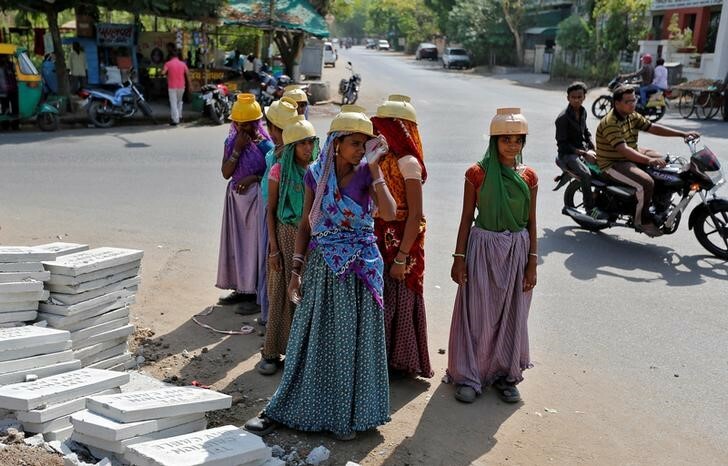 There are about 40 million construction workers in India, at least one in five of them women, and the majority poor migrants who shift from site to site, building infrastructure for India’s booming cities. Many such families live in tents on site or, like Shivani’s, bed down in the open at night. Prabhat Jha, head of child protection at Save the Children India, said creche facilities were rare, and usually cost. “There should be creche facilities, either from the government or the construction companies. There should be a safe place for these children. They are at real risk of being hurt,” Jha said. Indian companies usually outsource the hiring of cheap labor. Contractors bring gangs of workers, often recruited from the same village, to lift, dig or hammer with little oversight or safety provisions. Parents said their children usually stayed with them until they are seven or eight, when they are sent to live with grandparents in poor tribal villages in a neighboring state. When a Reuters photographer returned to the site on a second day, a group of laborers laying power cables threw stones at him.